“Can’t afford it” declared our former Gaffer Peter Beadle, who inevitably added blue pie thinking about “3,000 season ticket holders”. More recently at the Fans Forum, there was a notable gap between the enthusiasm of our man from Dymock opining “we need to be full time as soon as possible” and our Directors, who behind their brave words, didn’t have much idea how that might be achieved. I don’t have a clue either, not under the current trading model. Healthy gates are simply not enough as the owners of Stockport and York will readily agree. Every full-time club in our Division makes a loss. Full time is not an absolute term, more a sort of footballing colour palette. Stockport are “mainly” full-time, including 4 part-timers in their squad. Some Non-League sides who train three times weekly believe they are full time. Others like Telford who do the same believe otherwise. Last season, Basingstoke FC repeatedly told the world their squad was full time. In terms of hours on the training pitch, they were quite correct but the participants weekly salary of between £80 – £100 per week drew comparisons with Qatar World Cup working practises. This season, on top of loanees Matt and Harvey (plus technically Greener), our new management have bought in new talent who were professional footballers at their previous clubs. Thank to pertinent questions from aspiring media man Ollie Beach, we know that neither Josh Gowling or TOE (Owen-Evans) have another job. They’ve always received a full-time wage for playing football. Our latest permanent signing Finn Kyle being ex-Coventry only professionally knows green pitches and football boots. The same probably applies to our trio from Nuneaton, Tommy O’Sullivan and possibly James Roberts. Thus, quietly our club is already nudging towards the status of being a full-time football club. Perhaps close to half the squad don’t have another day job. Let’s be clear I have no inside knowledge of player salaries nor wish any. Yet its simple football logic that Hereford are surely paying our recent incomers a wage matching their status at their previous club – ie full-time salaries. ‘Ballers under contract do not move to struggling, geographically remote football clubs for significantly less money. Take ace goalscorer Josh Gowling (quick aside. 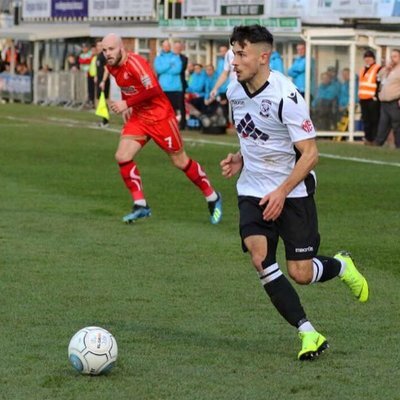 If someone had told me in April last year that a Hereford central defender would have scored the same number of goals as Johnny Mills by January 2019, I’d be thinking about sectioning). Been a pro all his life, still fit and contributing, still under contract and isn’t going to take a big pay cut just because its Hereford. Such outgoings opens up some old sores for purple felt tip discussions but that is for another time. Let’s not go there now. Let’s enjoy the new talents in our squad and ponder how much further our stealth strategy can stretch.